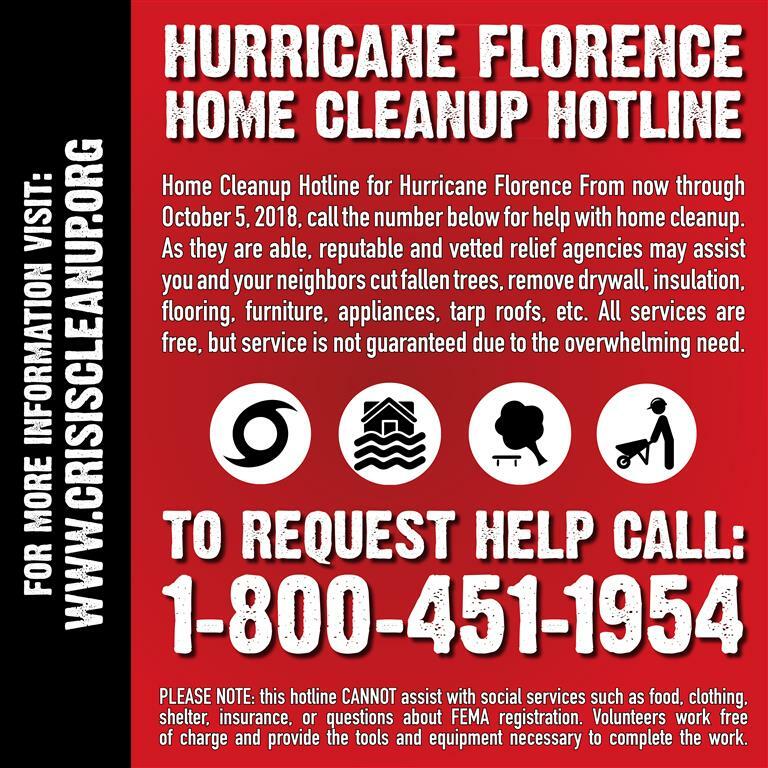 NC Emergency Management recently posted a message warning residents that individuals are posing as NCVOAD Crisis Cleanup representatives. NCVOAD does NOT have representatives contacting disaster survivors on the ground. Those in need of cleanup help can contact Crisis Cleanup at (800) 451-1954. Report fraudulent behavior to authorities.